That's where Avanti comes in. This kitchenware company creates everything you need to cook up a storm. So whether you're grating some cheddar or frothing some milk, Avanti has the right tool for the job. Not only do they provide quality utensils, but they also design cleaning products to ensure that your kitchen remains as perfect as the pork loin you're cooking! 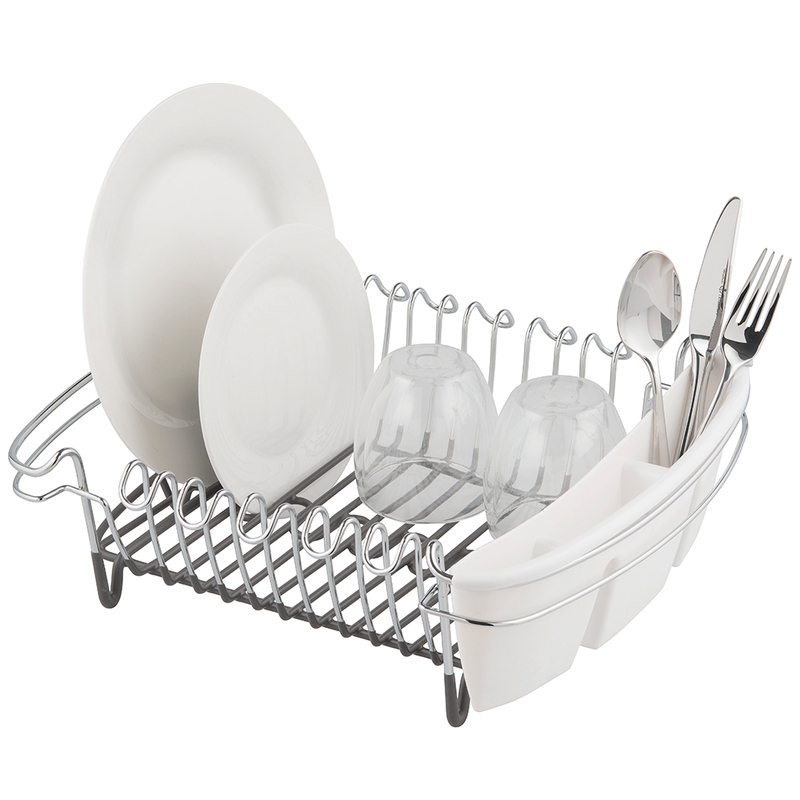 Avanti's Heavy Duty Dish Rack is the ideal vessel for organising your dishes. Its made from sturdy steel wire, with a base that has been dipped in non-slip PVC, which will also protect your benchtop from scratches. The compact rack won't take up too much room around your sink, and features a drying space for up to ten plates. There is even a removable plastic cutlery caddy, with a perforated base for draining liquid from your utensils, so your kitchen benchtop remains spotless at all times. Let Avanti organise your kitchen. Sturdy steel frame, with a non-slip PVC dipped base. Drying space for up to 10 plates. Includes a removable plastic cutlery caddy, with a perforated base for draining liquid. Please note: the dishes shown above are for illustrative purposes only and are not included. Dimensions: 39cm (w) 11cm (h) x 31.5cm (d).